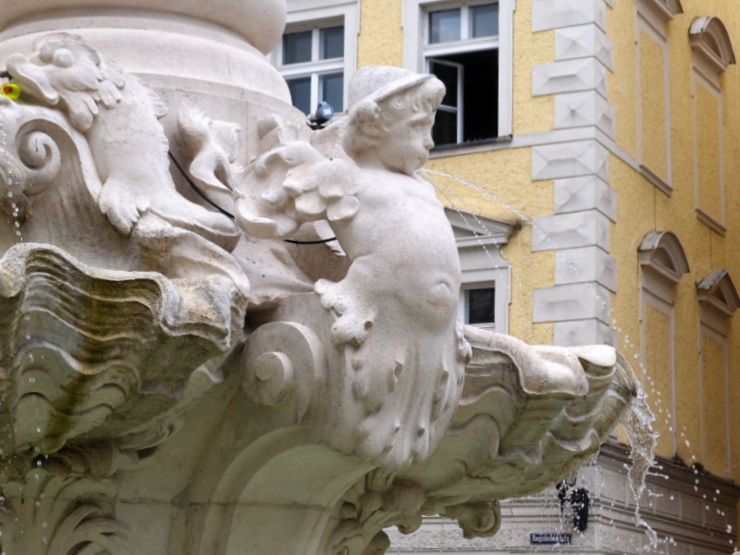 The Wittelsbach Fountain (Wittelsbacher Brunnen) attracted my attention by a sculpture of an angel wearing a Tyrolean hat. 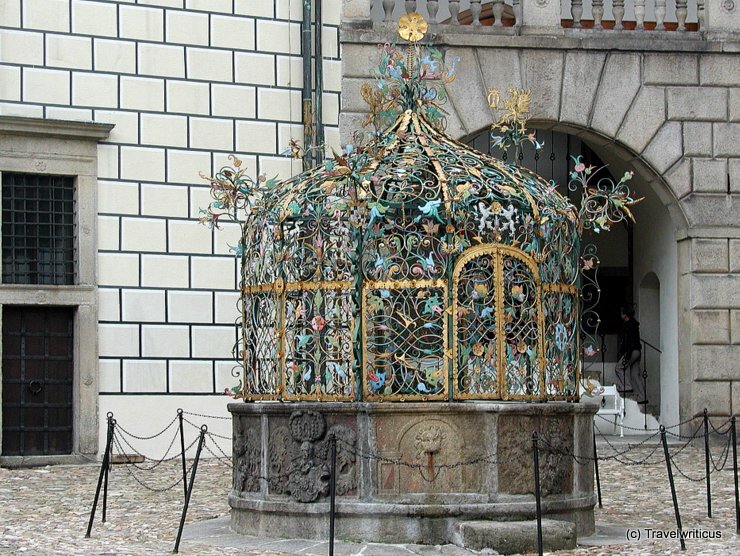 The fountain was created by Jacob Bradl. 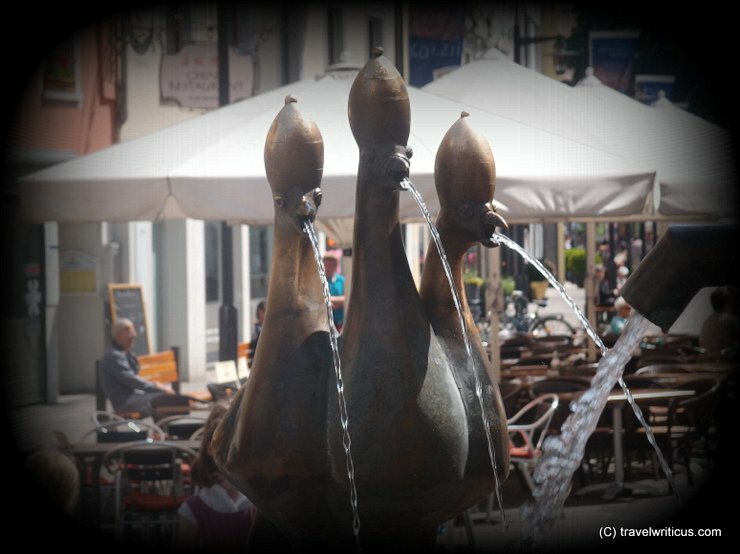 Three angels represents those three rivers Passau is known for: Danube, Inn, Ilz. E.g. 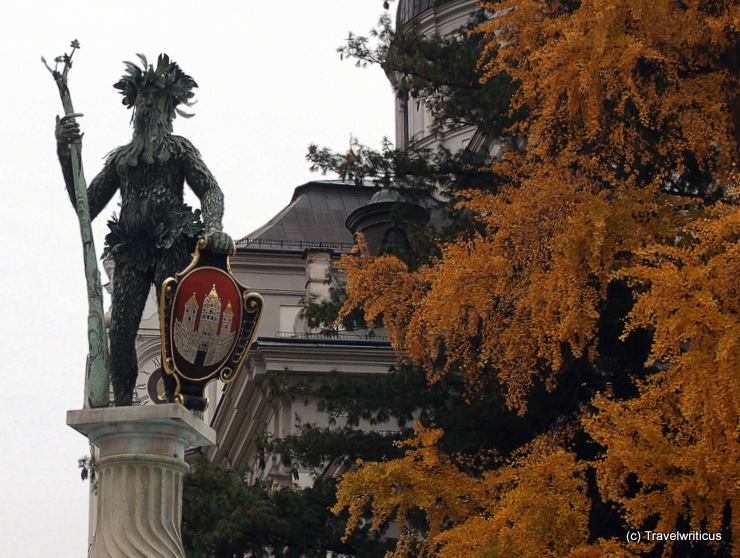 the small Tyrolean guy represents the Inn river. 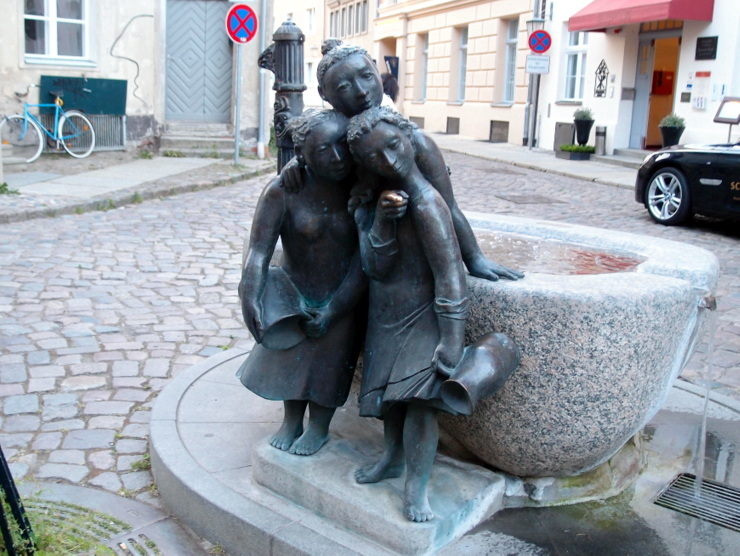 The geese girl fountain (Gänsemädchenbrunnen) created by the Czech sculptor Antonín Pavel Wagner shows a girl with three geese. 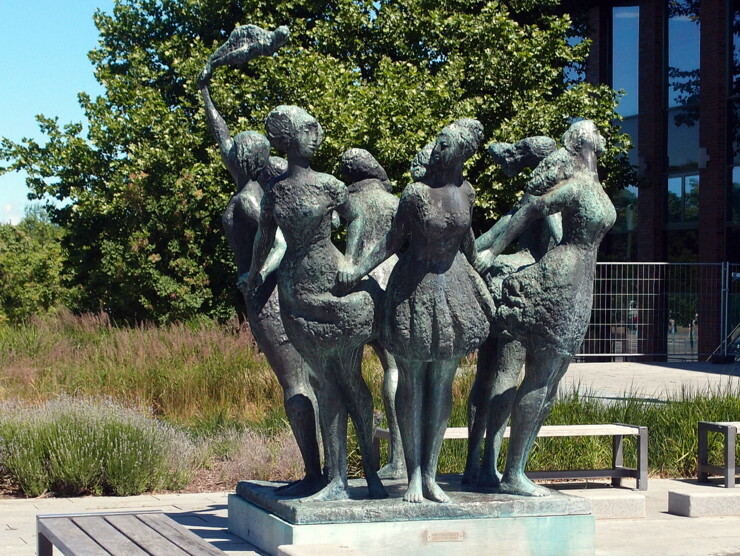 The geese refer to the first site of the fountain which was the former poultry market of the city. 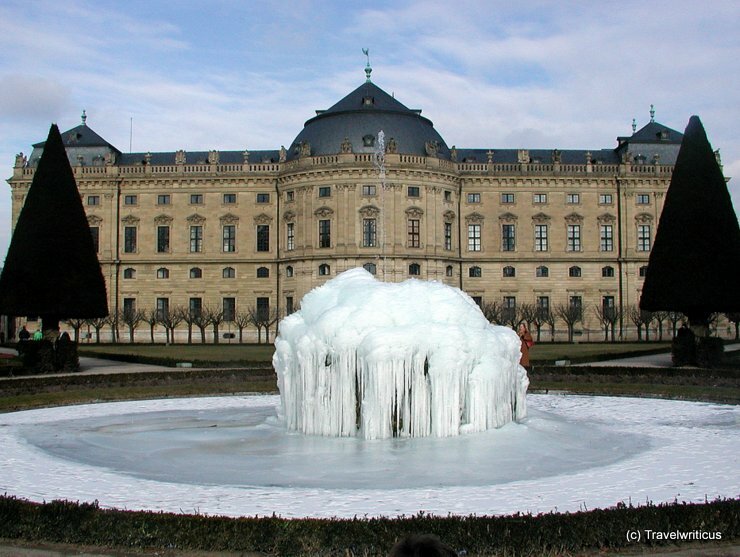 Today you can find this fountain next to the Rahlstiege, a staircase in the 6th district of Vienna. 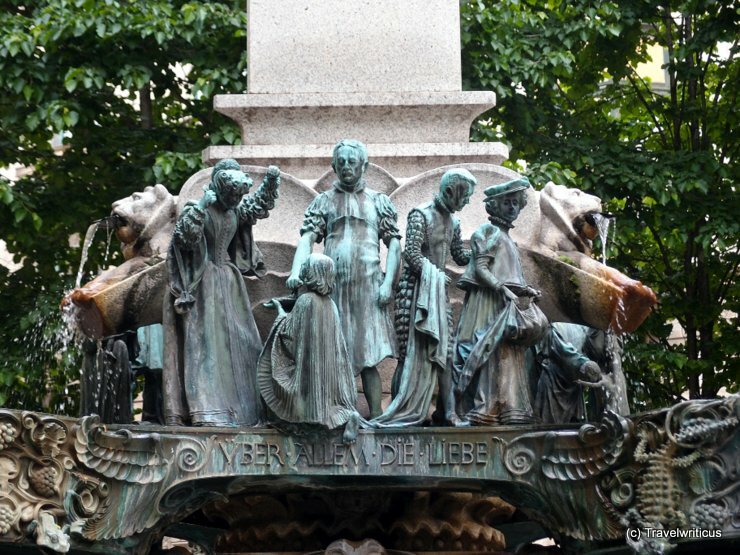 The imperial fountain (Kaiserbrunnen) was created by sculptor Hans Baur in 1897. After redecoration at the end of 20th century by Gernot Rumpf it shows some allusions to historical events related with Constance. For example a three-headed peacock wearing a tiara on each head. 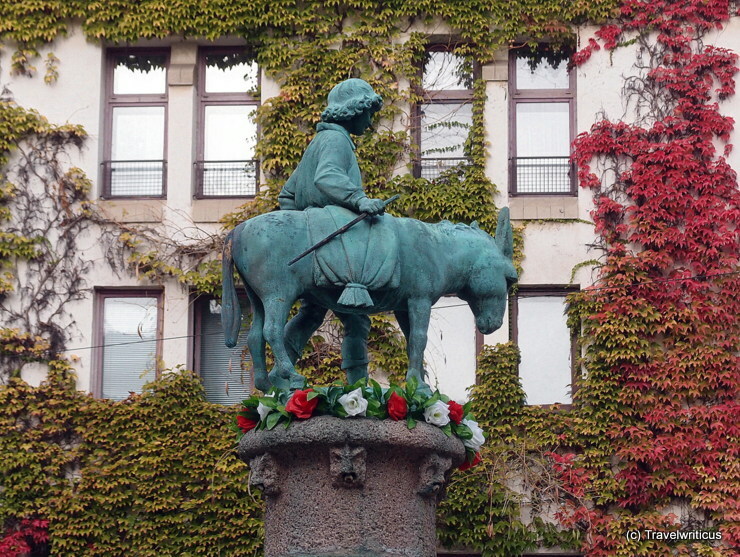 The fountain is situated at the Karl-Borromäus-Platz (3. district) and was created by Josef Engelhart in 1909. It is named after Karl Borromäus, cardinal archbishop of Milan (1538-1584).